For their third album As You Please, Citizen is looking inward. Pairing up again with longtime producer Will Yip, the band presents twelve songs that fuse aspects of their entire catalog into one neoteric whole. While the cathartic melancholy of their debut Youth and the jarring intensity of 2015’s Everybody is Going to Heaven are both present, the most welcome addition to Citizen’sarsenal on As You Please is the range of auxiliary instrumentation and sonic experimentation on the album. This is most notable on “In the Middle of it All,” where vocalist Mat Kerekes is sampled singing the song title in a modulated, haunting chorus that echoes throughout the song. 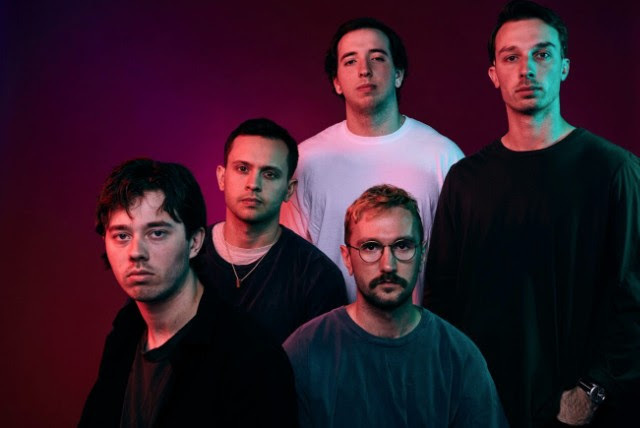 The addition of organs and unconventional drum effects on songs like “You Are A Star” and “Medicine” create shifting emphases on tension and frailty, while the huge choruses of songs like opener “Jet” and “I Forgive No One” are reminders that while Citizen dove headfirst into uncharted territory with their new album, the band is still as good as ever at writing emotionally-charged anthems. As You Please presents Citizen’s vision at the most focused it has ever been – it is delicately crafted to provoke at every moment. Citizen is currently on tour!